Jewish life in America has thrived, particularly since the influx of Jewish immigrants in the late 19th century, has thrived and remains an important part of the American fabric. These large and established communities created all of the necessary infrastructure to be able to lead a Jewish life in America from Jewish day schools to synagogues to non-profit organizations to kosher supermarkets and more. But as the world becomes more connected and fast-paced, our attention span lasts a mere millisecond before we’re off to the next thought or screen, and we prefer living vicariously through someone’s Instagram life more than through an envious protagonist in a good novel, maintaining close-knit communities becomes increasingly difficult. Part of the success of the Jewish people and of Jewish communities has historically been in the ability to connect to the people and the world around us while maintaining a distance and protecting the values and traditions important to us. So the question is, how do you lead a Jewish life in America today? The fact that you’re interested in the subject and making a conscious effort to sustain Jewish continuity is a good start. Sometimes, it’s when you’re surrounded by people of other faiths and backgrounds that you’re most reminded of who you are and the importance of cultivating it. 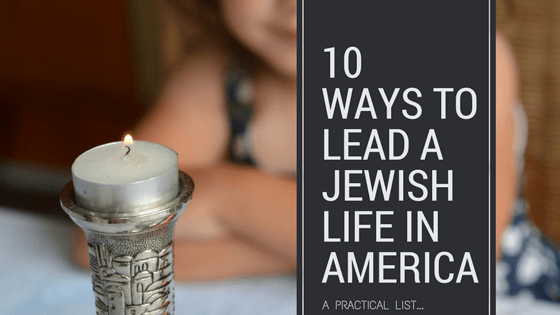 Here are 10 practical ways to lead a Jewish life in today’s America. It doesn’t matter what denomination you are. Orthodox, conservative, reform, reconstructionist or none of these. 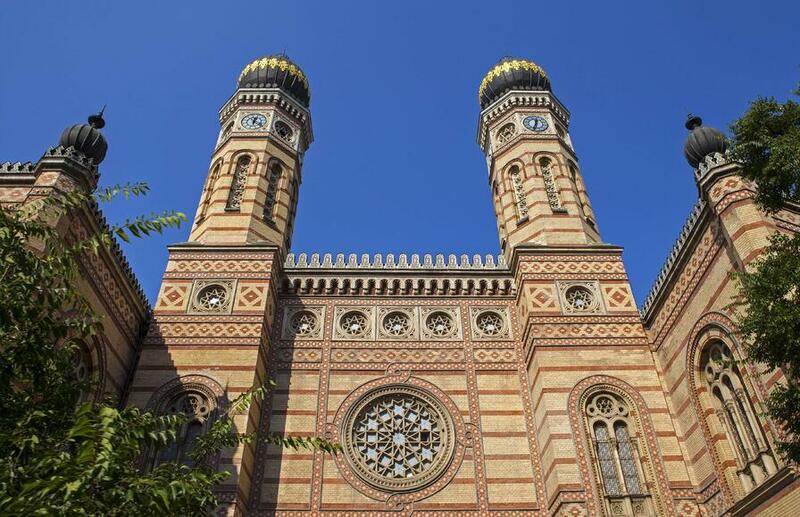 Choose a synagogue in your area and become a member. It’s like paying to join a gym – when you do, you’re more likely to go and be present. Whether you choose to go on high-holidays or more often, you’ll have the opportunity to meet other members of your community, learn a little something from the rabbi’s sermons and remain connected to the laws and traditions that have defined us for thousands of years. Leading a Jewish life in America isn’t only about what you do, ultimately and most importantly it’s about what you choose to teach and pass down to your children that matters most. Your child’s education is probably one of your top priorities. There is a lot that goes into the decision of where and how he or she should be educated. While finances are certainly something to take into consideration, Jewish Day Schools will provide scholarships so that no child seeking a Jewish education is turned away. Ultimately, most of the Jewish Day Schools have equally good if not superior levels of Jewish and secular education as most college-prep private schools and top tiered public schools. A Jewish education allows your child to learn about what it means to be a Jew and find and connect to a strong Jewish identity. This later makes it easier and more likely for him or her to prioritize Jewish continuity as they grow older. I attended a Jewish Day School and it was the best decision my parents made for me. I went on to meet and befriend people of different religions and races in college and afterwards. And they are among my closest friends today. But it was the decision my parents made to surround me with Jewish values and Jewish children in my formative years that set the tone and established my desire to continue leading a Jewish life as I grew older. Not every parent can send their child to a Jewish Day School. Thankfully it’s not the only option out there for exposing your children to a Jewish education. 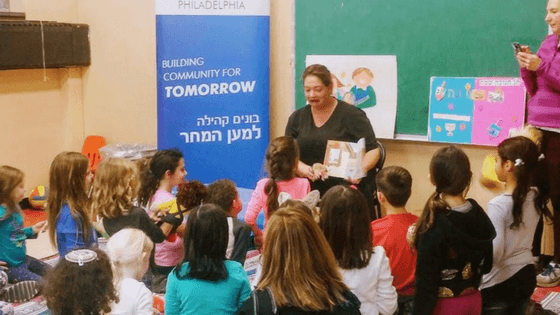 Hebrew school often provided through the synagogue communities is a chance for your kids to learn about Jewish laws, traditions and holidays as well as learn to speak Hebrew once a week and feel connected to a Jewish community. Imagine your kids spending an entire month away from home in a positive environment without digital distractions where they get to just be a kid and enjoy. Then imagine that in that positive and enclosed environment there are Jewish kids from all over there to enjoy their summer too, and Jewish counselors and a Rabbi or two from different communities and some Israeli counselors too. That’s the perfect setting for your child to be exposed to Jewish people, learn about Judaism and Zionism and connect to their Jewish identity while having fun. 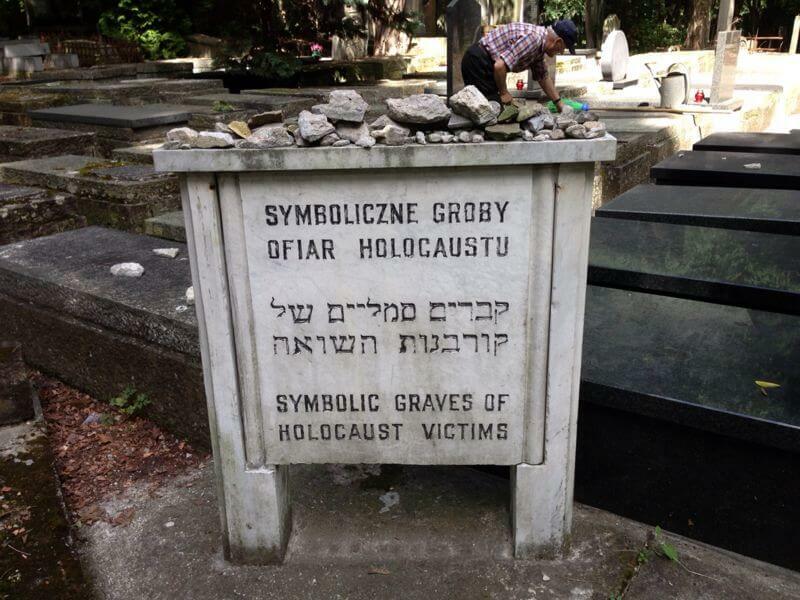 The saying goes, for every Jew there is a non-profit. Jews are known for holding Tikun Olam (the concept of making the world around you a better place) to the highest standard. Volunteering for a cause (whether it’s Jewish in nature or not) will help you in creating ties in your Jewish community and helping those around you in need. Part of living a Jewish life is giving back and being a Mensch. Take the time to give back and do good. Jewish youth groups are a powerful way to help your kids connect to their Jewish identity and also a very practical way to expose them to other like-minded Jewish kids. In the context of these youth groups, they’ll learn a lot about Israel and strongly advocate for this special country. They’ll also learn about team-work and volunteering and what it means to give back to those less fortunate. There are many different ones out there that usually belong to a certain religious denomination. 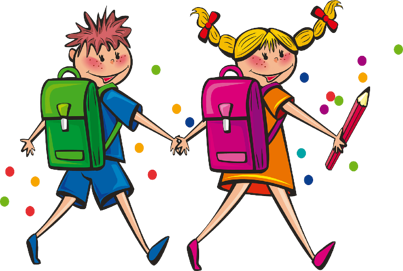 It’s the perfect extracurricular activity that will provide your children with an added layer of positive Jewish involvement on a regular basis. In order to mindfully lead a Jewish life in America, being a Jew needs to be front of mind – often. One of the ways to go about that is to maintain traditions. This connects you and your family to a Jewish identity through fond memories and repeats experiences as a family. Jews are hard wired to pass lessons and traditions down from generation to generation. If a holiday tradition was a staple in your household, you want these traditions to become just as familiar and comforting to your children as they are for you. You don’t have to wait until the holidays come around either. Have a Friday night dinner with your family every Friday. Light candles and say the Kiddush prayer over the wine. It’s this repeat experience that encourages time together as a family and brings your Jewish side to the forefront once a week that is possibly the best way to lead a Jewish life. For more on maintaining traditions, check out What Your Children Must Know About the Jewish Holidays. The most practical way to keep your Jewish identity alive is to surround yourself with friends that are also Jewish. It doesn’t mean you actually have to do “Jewish” things together. 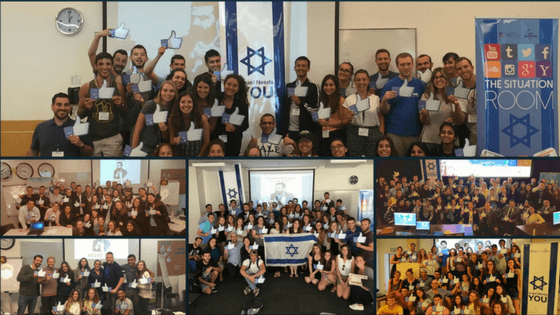 The mere fact that you’re with them means you’re cultivating that important sense of community that defines the Jewish people. It brings you closer to your Jewish side rather than distancing you from it – which can naturally happen when you’re not surrounded by Jewish people, holidays or traditions for a long time. 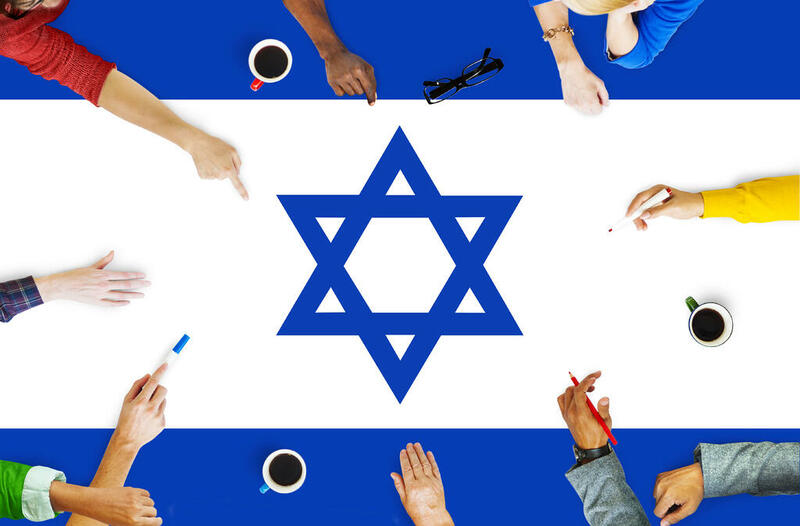 Part of leading a Jewish life in America is actually connecting to Israel and understanding your Jewish identity through the lens of the importance of this country for you. 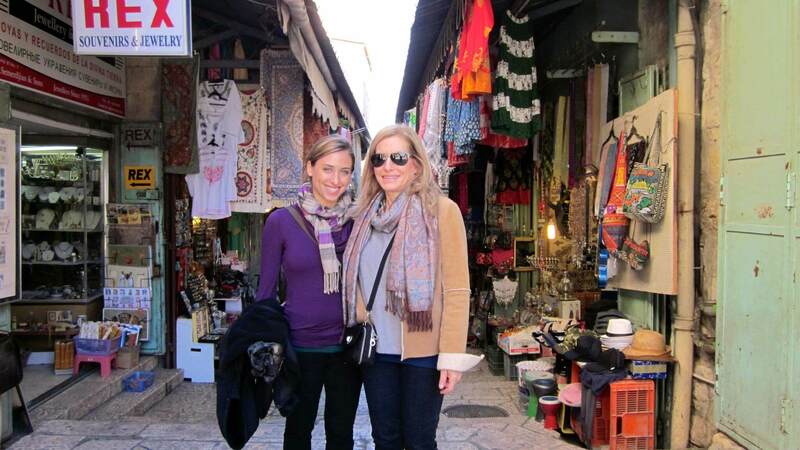 Some Jewish Americans connect to Israel because it’s a Jewish country for the Jewish people. Others connect based on a cultural or historical perspective. 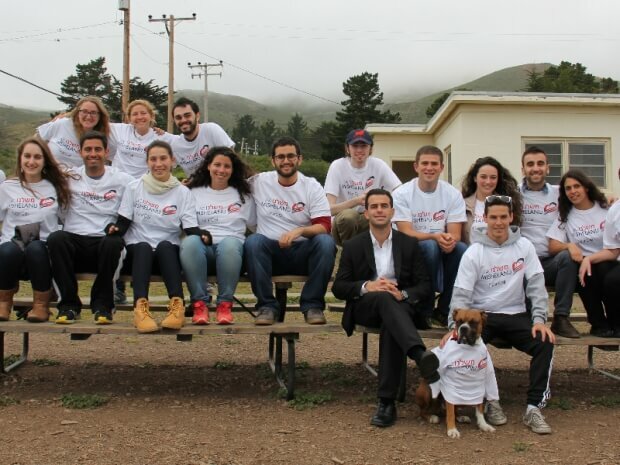 Whatever it is, not only connecting to Israel but also understanding the importance of this country for the Jewish people and advocating for it in your circles is a critical part in leading a Jewish life in America. The best way to do that is to take a trip to Israel. We all come from somewhere and seeing the history behind the Jewish communities in different countries helps bring that idea to life. There are interesting Jewish communities everywhere in the world. And you may gravitate to first exploring your roots and where your family came from. It’s when you have a better sense of your Jewish past that you can proudly connect to your identity and use that strength to lead a Jewish life back at home. 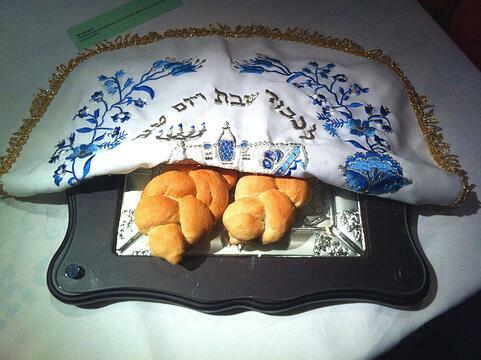 Leading a Jewish life in America can be a challenge. In today’s world there are lots of distractions and it’s easy to disconnect from this part of who we are. 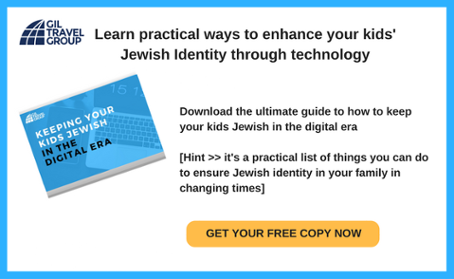 Take the time to connect to your Jewish identity and use this list to be inspired for practical ways to do so.